Originating in Mexico 2000 years ago, Blue Slates were taken to Europe and then brought to the American Colonies. They were recognized as a standard breed in the U.S. in 1874. They come in three color phases: solid black, solid blue and blue flecked with black spots. Many times the birds are a combination of each phase coloring. These beautiful birds are of medium size and quite rare. Average Weight: Young Tom 23 lbs, Young Hen 14 lbs. 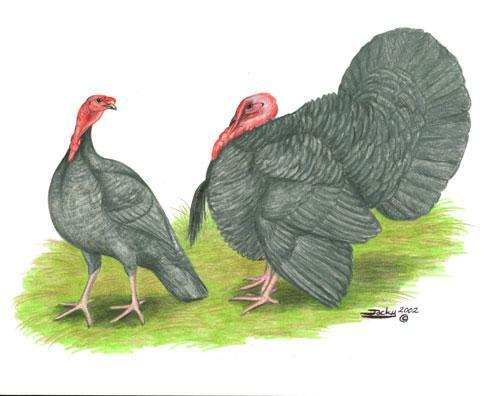 I'm interested in your blue slate turkeys. On hatch dates where there are less than 15 poults, is it possible to purchase less than the minimum? The minimum order for shipping is 15. We will not ship less than the minimum. The fastest growing meat varieties are the Giant White and Broad Breasted Bronze. 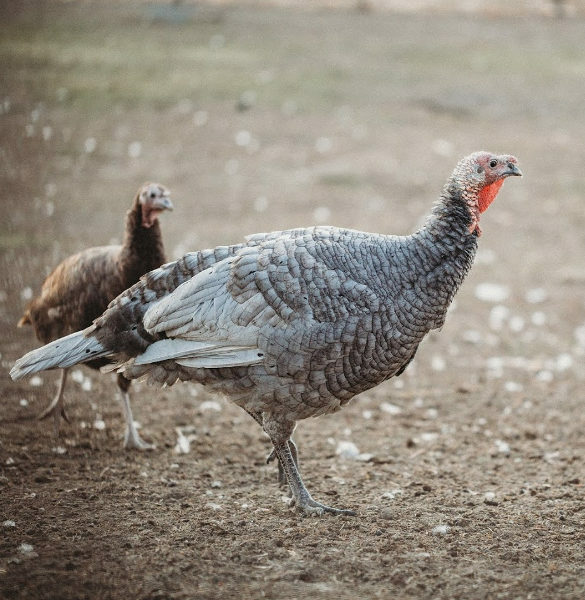 Which o fyour turkey breeds will breed naturally? Any of the turkeys will breed naturally except the giant whites and broad breasted bronze. How much r the birds n how much do they cost for shipping to our home? What's the m ok nimum to order? The price per bird and shipping depends on how many you order and what state you live in. The minimum order for shipping turkeys is 15. The turkeys are sold as st run only (not sexed). Our minimum for shipping is 15 turkeys.